Six Figure Success Academy – Good, Bad, Or Ugly? Many of us are looking for ways to make money online with a system that works. The hard part is trying to find one that actually does what it says. 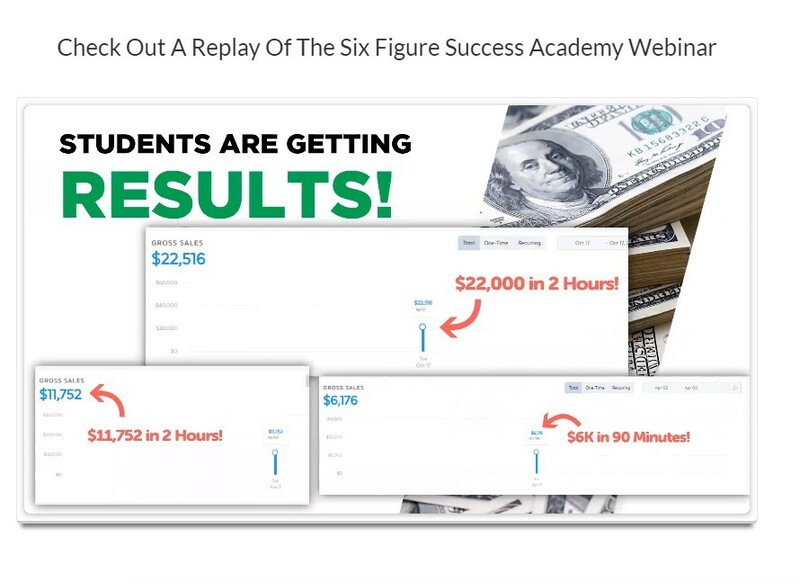 Six Figure Success Academy makes some lofty claims in their 3-hour sales video. From the very beginning of the video, you will be shown what they claim are sales numbers. When I see numbers in the thousands per week and especially per day, red flags go up. The thoughts of scams pop into my head. Be careful not to confuse this with systems with similar names like Six-Figure Success or Six-Figure Mentors. Similar names, but definitely not the same system! Let’s see if Six Figure Success Academy is good, bad, or ugly and can it live up to the claims that they make. I have included some of my affiliate links in this review to allow you to get more information or to purchase the products. I am an independent marketing affiliate and this site or this review is not owned by Six Figure Success Academy. This is my opinion based on my personal research and experiences. 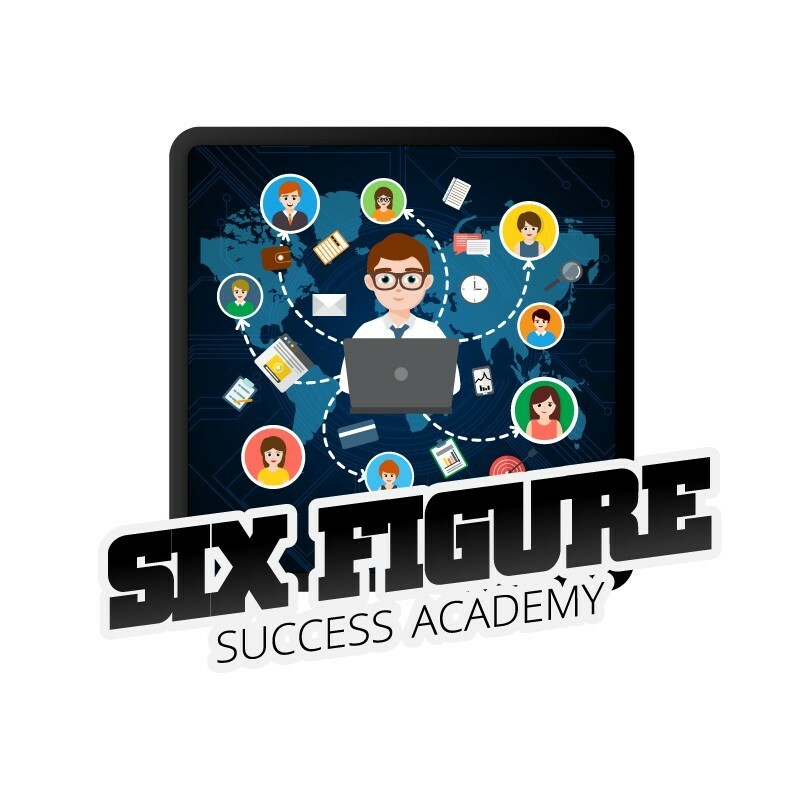 The Six Figure Success Academy is a six-week training course that will cover various aspects of making money online using webinars or videos. You will learn how to sell your products, find products, and promote them. One of the best reasons to have an online business is that once you create a sales or presentation video and make it available to the public, it will continue to promote your products until you take it down. You can create the video and simply drive traffic to it. Videos are becoming the most popular way to promote both digital and physical products. Have you watched product review videos before you purchased a product? Depending on the product, I may watch a few video reviews, then click on an affiliate link to purchase it. There are a little over 50 short core training videos that will teach you how to make money online. These are relatively short and to the point, usually under 10 minutes. This does not include the several bonus videos you may also receive. This is a six-week course designed to teach you one step at a time and they actually do a pretty good job at covering the basics. I want to give you a quick overview of the system without going into too much detail. Week 1 – Six-Figure Success Academy Crash Course. This is an introduction to video marketing, webinars, automation, and getting started. Once you sign up, make sure you join their Facebook group and set your goals. These are also covered in the first week. Week 2 – How to partner with people like “Bob”. Many of the most successful bloggers and online marketers create an avatar of their targeted customer. Here you will learn the reason why you want to create one and how. This will help focus your marketing efforts. Week 3 – Craft your money maker. Here you will begin to learn the best ways to make money online. There are a number of ways you can make money from your videos, but which is best for you? Week 4 – Preparing for maximum success. You will learn which video software and hardware to use. This will be vital for your online success. Week 5 – Generate $1k payments on demand. Week 6 – Optimize and scale. Learning to test your marketing campaigns, keep what works and get rid of what doesn’t. This system does a nice job breaking down the training into manageable chunks. As with many courses, I have to question the claims that are made – can a new online marketer really make this kind of money? The Six-Figure Success Academy is a Legit opportunity. The step by step training that is provided will help teach you to make money online. How much will really be up to you. Some of the testimonials are obviously scripted and it leaves me wondering if they are real or just paid spokespeople. The Six-Figure Success Academy can be a good program to start out with. It is usually not as easy as they claim, but it does provide a lot of information for someone who is new to online marketing and will help them get started. There is still a lot to learn that the course does not cover. Building a real online business to last and generate the money they claim will take time. It can be done, but usually not in a few short weeks. If you are able to afford the program, you can learn how to make money online with webinars and videos. For many that are just starting out and cannot afford the cost of this program, there are more affordable options out there. I think the hefty price tag distinguishes that this is probably not for people like me who are just starting out and trying to make their money online. I am questioning any service that promises thousands or hundreds of thousands of dollars because I never think that it’s quite that simple. The cost of the program will be out of reach for many people, especially anyone just starting out. The training does seem pretty good, but that price tag will chase away most people looking to start an online business. Also, as you pointed out, beware of any big promises, if it sounds too good to be true, well you know. 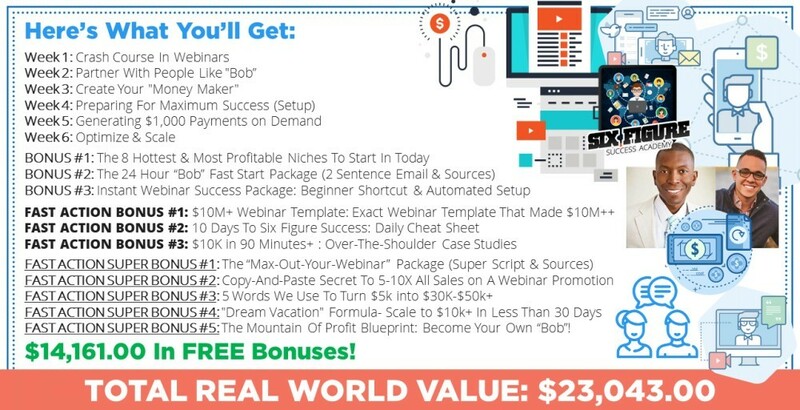 If you are looking to get started online, Wealthy Affiliate offers some free training that will get you started, then you can decide if you want to continue with them. Previous Previous post: CB Passive Income 5 – Can You Believe They Improved It Again? Next Next post: What Is Kindle Money Mastery 2.0 – Does It Work?